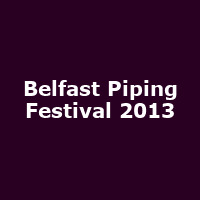 Music showcase and festival held in Belfast to highlight some of Europe's finest pipers. "Bringing together some of the finest pipers from around our homeland and Europe, the Festival showcaes piping in all of its forms from the Highland Bagpipe and the Uilleann Pipes to the French Bombard. ".